Yaro’s neighbours felicitate him for his great service. Sanju tells Yaro that she wishes to spend rest of her life with him. This show picturises the essence of friendship. 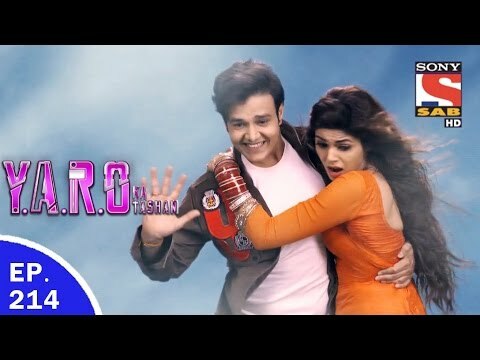 Mr. Agrawal who was a robotics professor invents his own child in the form of Y.A.R.O who will be the Robot with feelings. He has placed an artificial heart in Yaro, because of which Yaro can feel emotions too. Yaro also has superpowers which he understands slowly. The scenario gets spiced up when Yaro meets his new neighbors Amar, Prem & Shilpi. Initially they are unable to understand why this guy has been named as Yaro and why does he acts like a robot? This neighbor Trio gets happy after knowing that Yaro is basically a robot but his heart is as pure as gold and filled with innocence. Yaro and the trio become best of the friends & the flat becomes their den of naughty activities. An Emotional Robot - Yaro learns the new lessons about life, love and above all humanity and here starts the real Journey of Yaro with his friends. A journey called ""YARO KA TASHAN"".